What if I’m too slow, what if I’m too unfit….the Wheel Women Awards. Be inspired! Sigh…I can here you say it. ‘Not another bloody It’s-Christmas-haven’t-we-had-a-fantastic-year blog post’. Yes you can stop reading right now if you wish…but what if you were to read on? What if there is something good in what I am going to say…better still, what if there is something that inspires you? 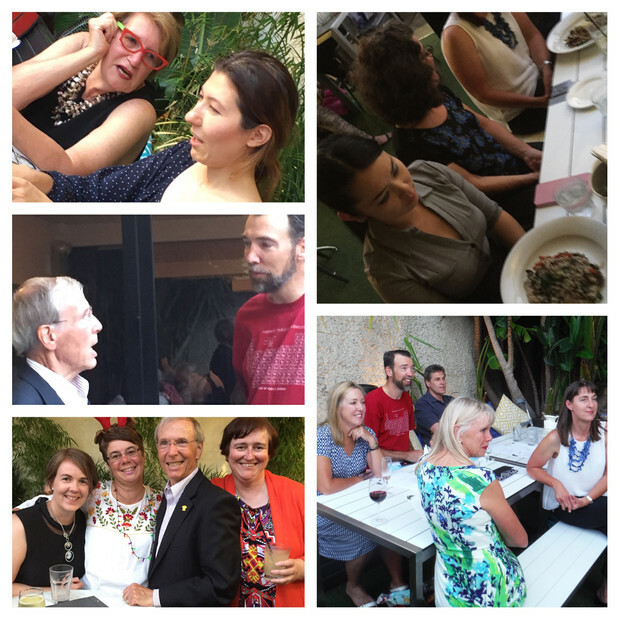 There is a lot to say after a year at Wheel Women and we just can’t possibly fit it all in one post. And that’s been the problem for me…so much happens at Wheel Women that I’m usually just far too busy to even do all the blogs and writing I’d love to do. Sometimes so much happens I don’t even know where to start. That sure is the case at the moment as we look back on a remarkable year, however, I thought we needed a forum to share what some of our amazing riders have achieved…I hope you are inspired!! Last night we celebrated the Wheel Women Awards. Five amazing ladies were awarded Wheel Women Warrior status to acknowledge their journey of riding, what they put in and what they get out of it…the awards are not about the fastest, or the fittest, or the most wins on the bike! No, we just like to acknowledge remarkable stories of change, commitment and dedication. We decided that we need to acknowledge the incredible hurdles that some have to cross just to even contemplate a bike ride. Danika has shown incredible strength to overcome some serious barriers that prevented her from not just riding a bike, but getting through each day…riding has gone some way to change how she feels about a whole bunch of things! 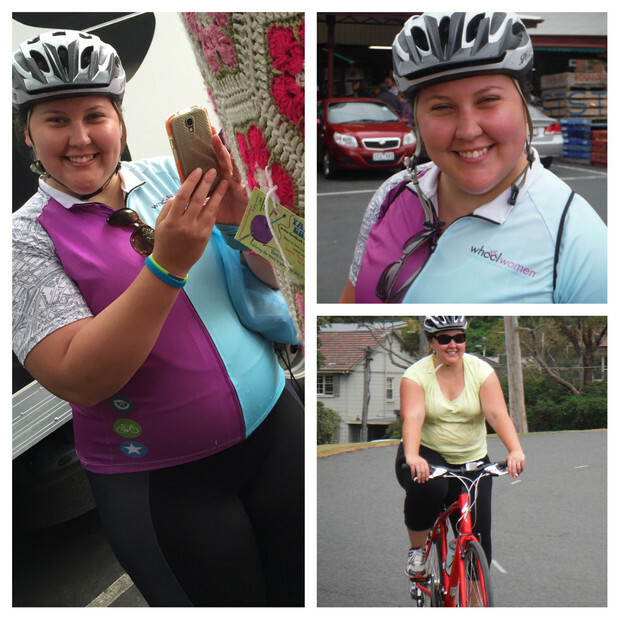 When Danika started at Wheel Women, she was bervous, full of ‘what if’s’ and wasn’t sure she wanted to be there…but she perservered and suddenly realised she LOVED riding her bike. We had a chuckle a few weeks ago about the first ‘real’ ride we did…6km to the city and Danika needed to get the train back because it was too much. 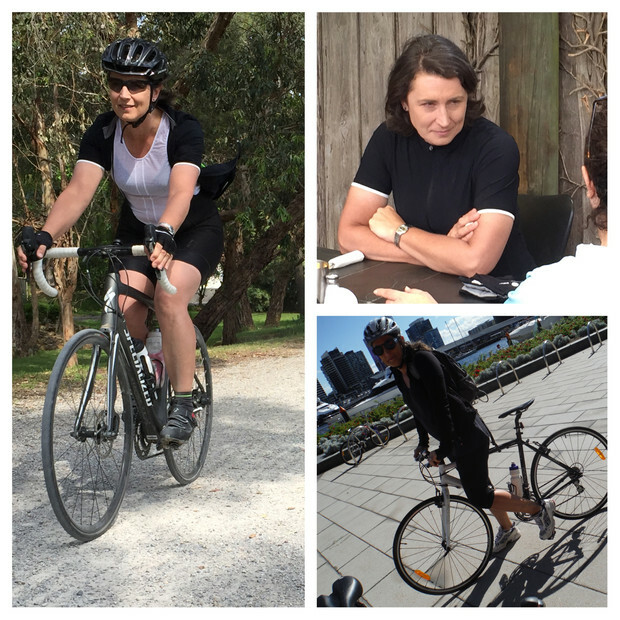 Travelling at about 15kmphr was all she could manage…now it’s 40km bike rides and she’s QUICK! It’s been wonderful to watch her fitness and skills improve, but even better to see the smile grow bigger and wider and see her absoluetly GLOWING! It isn’t easy to battle mental illness and face the world when things seem just too hard, but Danika has taken some incredibly positive steps to change the direction her journey was taking her…if you haven’t read Danika’s blog ‘Life Be In It’, then I urge you to do so. Never under estimate the power of the bike…or Danika! Well, we knew it would happen some time, it was just a case of when. But unfortunately for Jennifer she was the one in the middle of the misadventure. Suffering a broken collar bone and severe bruising to her leg, Jennifer is still on the mend and we hope back on the bike VERY soon. Jennifer started at Wheel Women back in March of this year and I have to say was probably the one rider in her group who I thought wasn’t that interested in all the goings on at WW. But to my surprise, she started to show up on rides, she got faster, has really worked on her fitness and before long was on a beautiful new bike, and I might add, totally addicted to coming along on the rides in the company of new friends! We miss Jennifer on our road rides and can’t wait for her to be back. It’s not great to be the victim when it comes to bike accidents, but Jennifer was so calm and quite philosophical about it all we thought she deserved special mention just because we want her well soon…let’s make it an easy path for her to get riding again! It seems hard to believe that not so long ago Rhonda was told that if she wanted to improve her riding she would need to move away from the Blue Level rides and get out of her comfort zone. To our amazement she did! The rides were slow at first and Rhonda had a bit of trouble keeping up, but to our surprise she just kept on turning up…with each ride she became fitter and faster. Rhonda was determined to be riding with the faster riders and seemed to make it her mission to just keep trying. Though even the hills looked daunting, watching her plod away up the Holmes Rd hill was amazing…but even better was her thrill at the top when she realised she could do it! Rhonda is a testament to the fact that every ride makes you better, every ride makes you quicker…when you just keep repeating it, you can’t help but improve. Great work Rhonda! 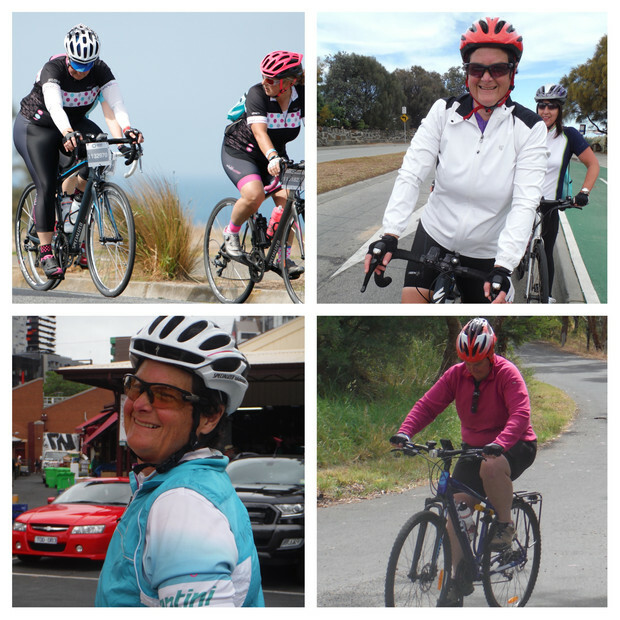 To those who meet Deirdre now as one of the Wheel Women coaches and Ride Leaders, you would find it hard to believe that she only started at Wheel Women in March of 2015. She was riding a heavy hybrid and wanted to commute to work maybe a few times a week. In fact, that commute even took a crazy route because she was too afraid to be on the road! Fast forward to December of this year and Deirdre is smashing out the km’s like nobodies business, but with a real level of skill and confidence. Deirdre’s path to sucess has really been ride, repeat, ride repeat (with quite a few coffees and cafe stops in there too! )….getting better every time she jumped on the bike but with a focus of wanting to know more, learn more and just absorb everything. It certainly has been a fast path to success…she looks great, loves the ride and is doing amazing things on her bike. Still a little slow on the click in and out (running joke on the road rides), but she sure is travelling well! Powerful rider and the class clown for sure. 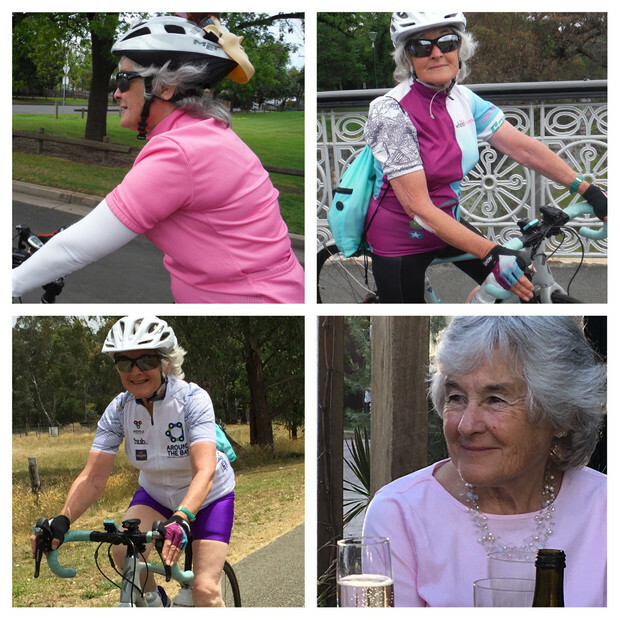 Lyn has been riding with Wheel Women for around 18 months and just astounds all of us. In fact Lyn holds the title of our ‘oldest rider’ too, but you’d certainly never know. Lyn is always in the thick of it with everyone being silly and having fun, but also displays a real sense of calm and thought, and a willingness to support the newer riders. Though she started out on an older, slower road bike it wasn’t too long before she upgraded to her beautiful Ruby Comp Disc so she could show us what she’s really made of! 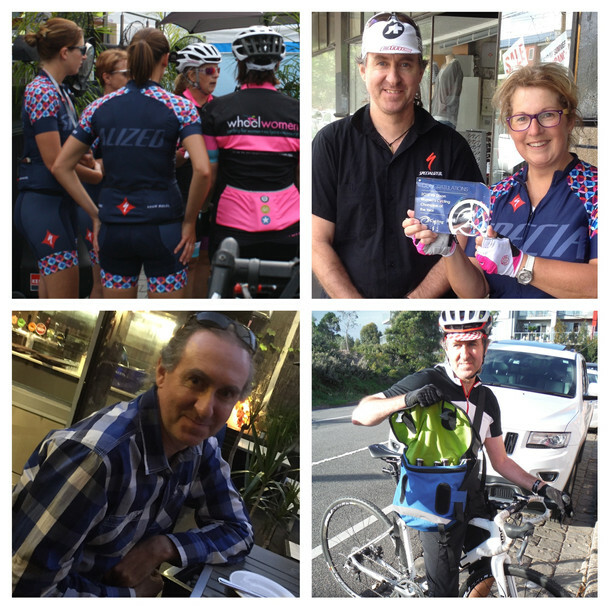 Lyn is always there, on all the rides and most times you’ll find Ray (her goregous husband) there supporting her at the start, joing us for mid ride coffees and then chatting to everyone at the end of a ride…what gems they both are! 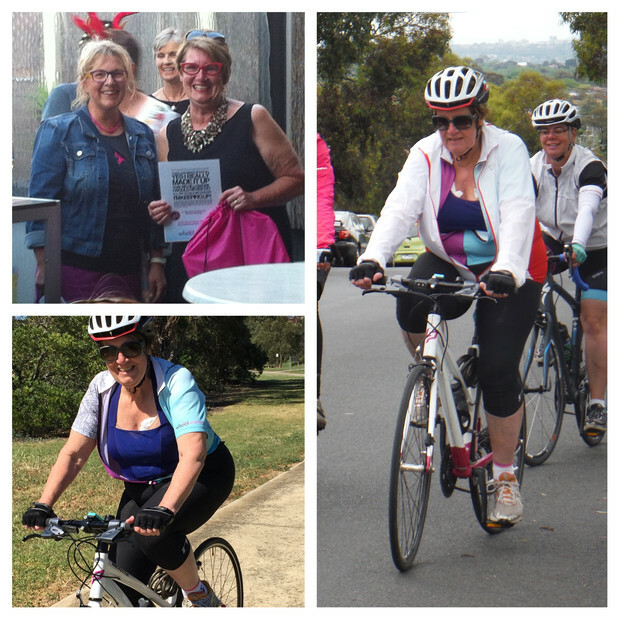 Lyn was the rider this year who topped the kilometres, topped the most rides and probably topped the ‘inspiration’ list for just about all of us! Go Lyn and Ray! It wouldn’t be fair if we didn’t publicly applaud all those who really committed in a serious way to their rides. We think it is consistency and a willingness to improve and join in that makes a difference…though fitness isn’t always the goal for everyone who rides with Wheel Women, being a regular rider has so many benefits…friends, fitness and fun! Danika Sanderson- 16Sharyn Olive – for actually getting her whole family to Wheel Women rides. What a brilliant effort! David Olive – for being the first male Wheel Women for a week in Bright. He’s brave! Ray Newland – our unofficial ‘coach’ who is always there supporting us, helping us and making us laugh! A very special mention of course to Evan at Cyclic who has helped us throughout the year with all our bike fixes, gear and info we need to keep rolling. We drive him nuts sometimes, but Evan has been such a great suppprt for women’s cycling and we are super lucky he’s the ‘local bike shop’ guy! Evan has been a wonderful support for Wheel Women and we know that in 2016 it’s going to be an even bigger and better year for us all working alongside Evan…as his store Ambassador, I couldn’t be luckier! What great support we’ve had from the gang at Specialized with our fleet of demo bikes and now our fleet of demo shoes…wow, they really know how to win a gril’s heart over!! There is much that happens behind the scenes with their support, such as keeping stores in the loop on what we do, and supplying us with the Members Gift vouchers, and making sure our coaches are kitted out with great gear. Thank you Laura, Sam, Emily, Jenny, Dave C, Dave F, Jo and Paddy (and everyone elsew ho I haven’t met yet! )…it’s been amazing! Can’t wait for 2016…safe riding, happy riding and SMILE! Previous Previous post: I’d like to get home for Christmas please! (or When a van hits a bike).